Happy New 2017, and a movie. We wish all our readers a very happy new 2017. During 2016, we had no less than 2434 visitors. 2017 will be a year full of activity in our seaweed resarch on bladderwrack (Fucus vesiculosus) in the Baltic Sea. We hope to share lots of our exciting experiments and resluts with both old and new readers. As winter seems to finally have decided to arrive in full here in Sweden, we treat you to a film showing the marine life at the Swedish west coast. Diver Edvin Thörnholm filmed all this material during one year in the Gullmar Fjord. The movie consists of material from 150 dives, showing the marine life at different depths and types of substrate in the fjord. With this movie, Edvin wants to share the beauty of the underwater world and show how it varies with both season and time of day. The speaker voice is in Swedish, but if you see something and wish to know what it is, just mail us and state at what time in the film the organism is shown, and we’ll get back to you with a name in Latin and English. Enjoy! The Gullmar fjord is the only threshold fjord in Sweden and by many regarded as the best dive site for marine biology. The local divecenter in the town Lysekil, DiveTeam, has many skilled marine biologists in their staff for those who whish for a guided “veggie-dive”. To celebrate the 70th birthday of His Majesty King Carl XVI Gustaf, a unique show “An evening about the Baltic Sea- Hopes and threats” was given in his honour at the Royal Dramatic Theatre on the 25th of April. On stage was more than 10 scientists together with leading dignitaries from several authorities and politicians who gave lively narratives of what is happening in the Baltic Sea. Everything from the slow geological changes over the years to the formation of new species all the way to the political situation today. A truly dramatic moment was when Ett mycket dramatiskt ögonblick var när professor emeritus Ragnar Elmgren from Stockholm University spoke of what species can be found in the Baltic Sea today. Suddenly, a large Ascophyllum nodosum falls down from above, landing just behind him! Professor Elmgren cooly states that this species has not managed to migrate into the Baltic Sea due to the low salinity. The common seaweed species that most people reckognise, the bladderwrack, is an important foundation species for life in the Baltic Sea. 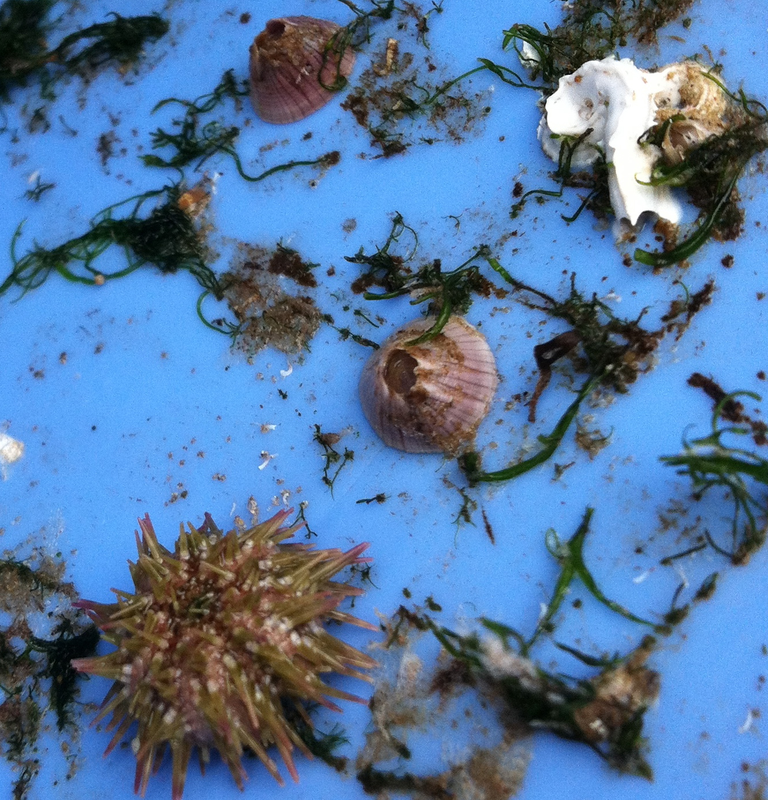 Many species find shelter or food in the bladderwrack. This is the moment when Fucus radicans enters the stage, from the pocket of Ragnar. 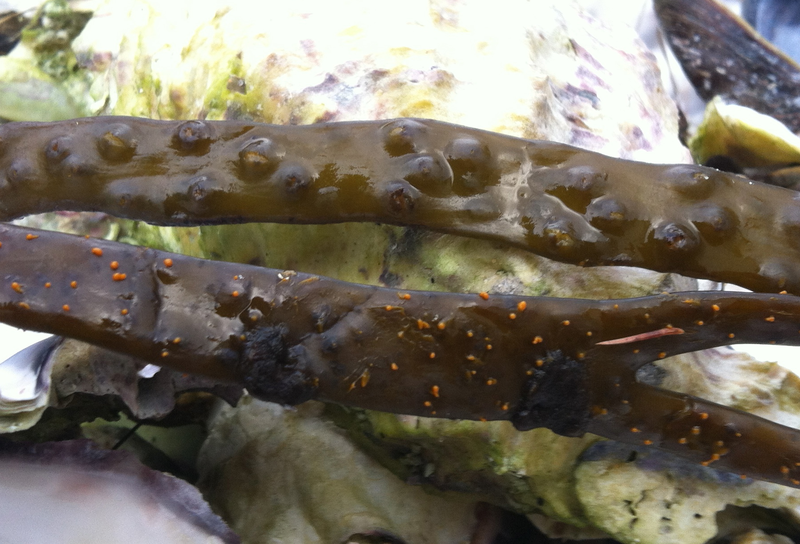 Fucus radicans has formed an own species from Fucus vesiculosus in less than a couple of thousand years. It is the only known endemic species in the Baltic Sea, which means it is not found anywhere else i the world seas. 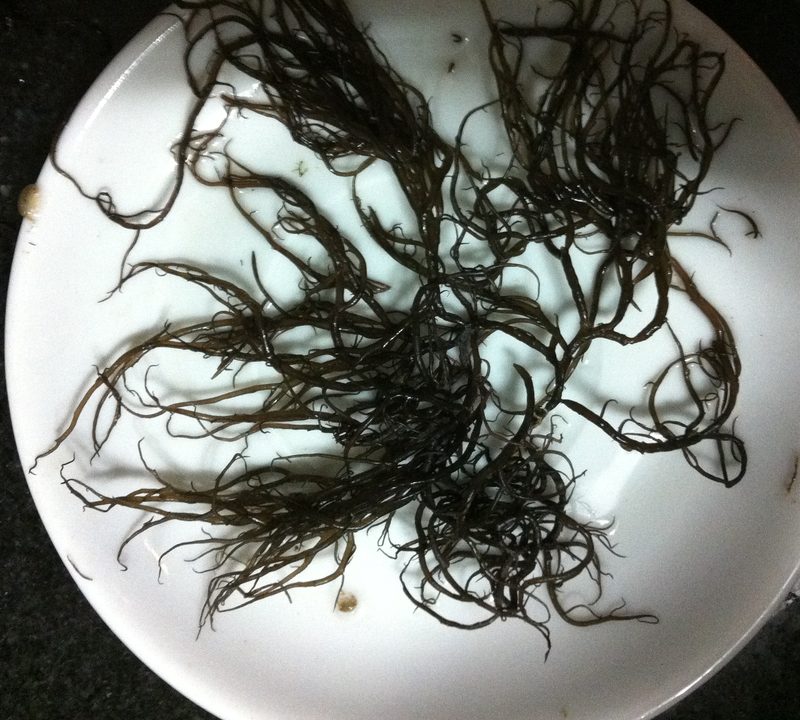 Seaweed smells of the sea and is also edible. Someone who has tried Fucus radicans canapées (se tidigare inlägg) is the Swedish king, on a visit to the Askö Laboratory. It is relatively easy to separate Fucus radicans and Fucus vesiculosus when they grow together in sympatry. Fucus radicans appropriate common name is narrow wrack. The thallus is much narrower that that of Fucus vesiculosus and Fucus radicans lacks the bladders that have given Fucus vesiculosus its name. Between the presentation on stage, we the audience were entertained with beautiful music from the orchestra and songs. Amonst them an interpretation of ”Rönnerdal han dansar över Sjösala äng” (Rönnerdal is dancing over Sjösala meadow)by Evert Taubes, where the background was a lovely seagrass meadow. The show ended with all participants on stage and His Majesty the King expressed his thanks for a rewarding evening, emphasizing his own keen interest in environmental questions in general and those of the Baltic Sea in particular. The number of posters was very large and one poster presented by a PhD student won the award as the best poster, selected by the board of Oikos during the conference. This was number 100 with the title: “Ant larvae as a secret weapon against social parasites” by Unni Pulliainen. During the poster session lots of engaged presentations occurred. There were also a number of marine and aquatic posters, for some the author had the possibility to pitch their poster in 3 minutes. Tiina Salo, now being on a post-doc, showed in her poster that Lymnea stagnalis responds more strongly to a heat wave after exposure to a mixture of micropollutants. But they recovered fast after the heat wave had passed. To feed the snails she used ecological salad. 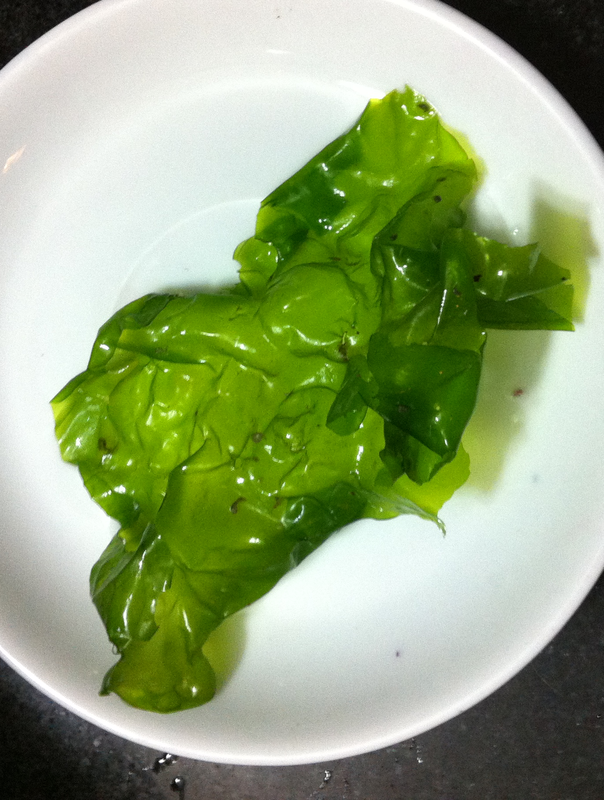 In the future experiments they will be fed leaves from different aquatic plant species. Several posters presented different aspects on the hot topic “ top- down – bottom-up” regulation of different ecosystems and impact of cascading effects and interactions between species. One species that creates lots of emotions is the cormorant, when establishing large populations on small islands along the Baltic coast. From the Department of Ecology, Environment and Evolution two posters were presented, one on the long-term effect of Pilayella on the settlement of Fucus vesiculosus by Susanne Qvarfordt and the other one presented results from a master project on the Swedish west coast about two closely related Littorina snail species behaviour when placing their egg sacs on different fucoid species. The last poster that I want to present was of high interest dealing with the new crab species, the mud crab, Rhithropanopeus harrisii and its impact on the local fauna. It is just a question when this crab will arrive on the Swedish coast. Keep your eye out for it. The conference ended after three intense days. 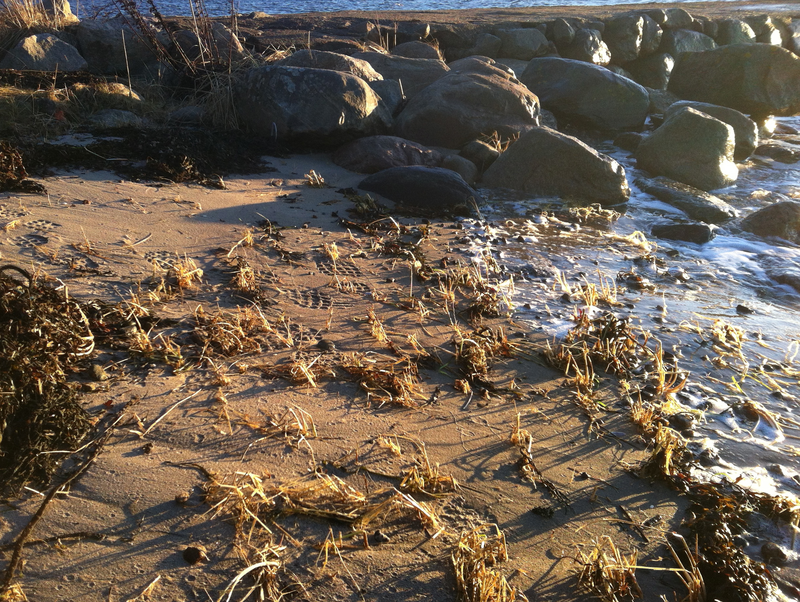 The wind was strong at Saltö, a small island on the Swedish west-coast close to the marine research station Tjärnö on January 2 when the first storm called Svea hit the shores and some of the finds were really exciting. 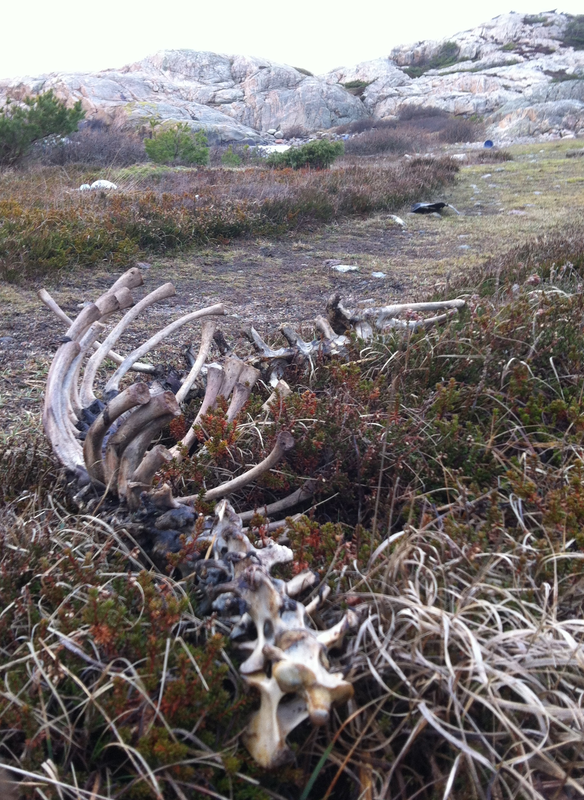 From earlier in the year, we found a seal skeleton and a bird´s wing high up on the beach. That it is a seal skeleton can be recognized by that the pelvis is low and sits far back. The head was not there anymore. There was not much left of the bird except for one of the wings. 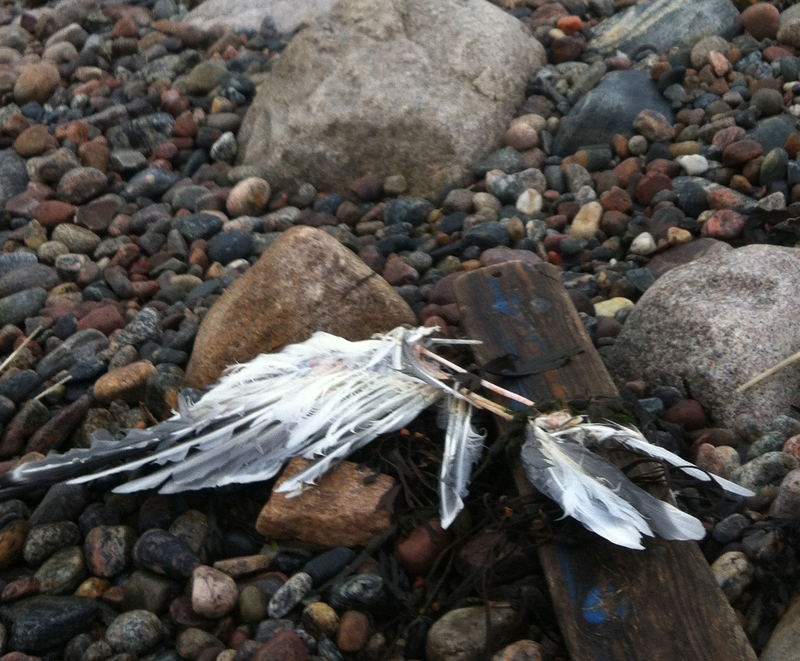 Further down was a broad zone with materials washed ashore. 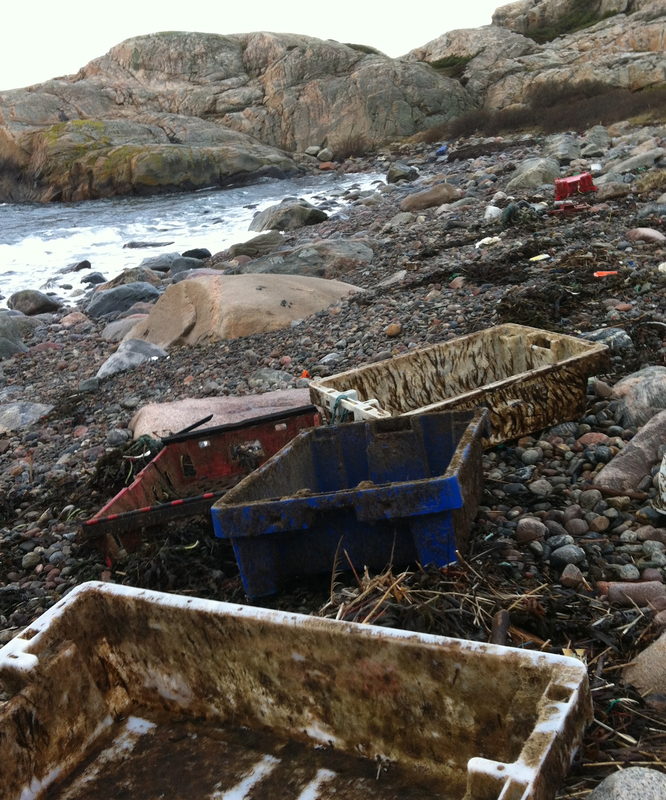 It included lots of plastic containers in different colours, a large shovel and various species of seaweed. Green shovel with fouling and large knotted wrack, Ascophyllum nodosum, with giant sized receptacles on the way to develop and get mature. Another sign beyond morphology of the knotted wrack, that much of the material comes from countries other than the Swedish coast, was the long rope-like receptacles of Himentalia elongata. Both males and female thalli were found among the seaweed wrack. 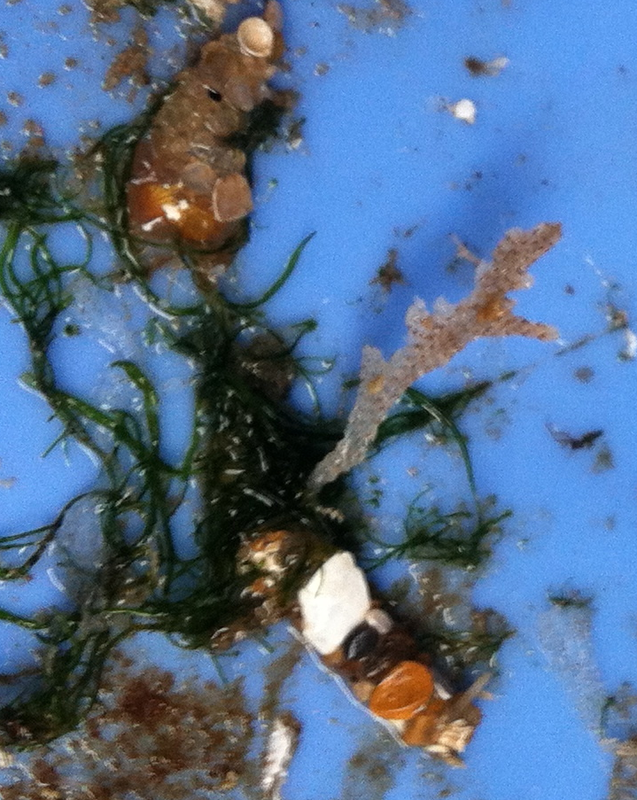 The picture shows the pits on the female receptacle from which oogonia and eggs are released when ripe. On the lower male receptacle the orange spots are millions of sperms released from the conceptacle. The thalli may come from the Norwegian coast which is the closest areas where this species occurs. I also found a blue bucket, with a some green algae on the outside and many white polychaete tubes belong to the species, Pomatoceros triqueter on the inside. Upon closer scrutiny of the inside I also found two other polychaete tubes, which was lined with small pieces of shell and sand grains. Those I have not been able to determine what species it is. 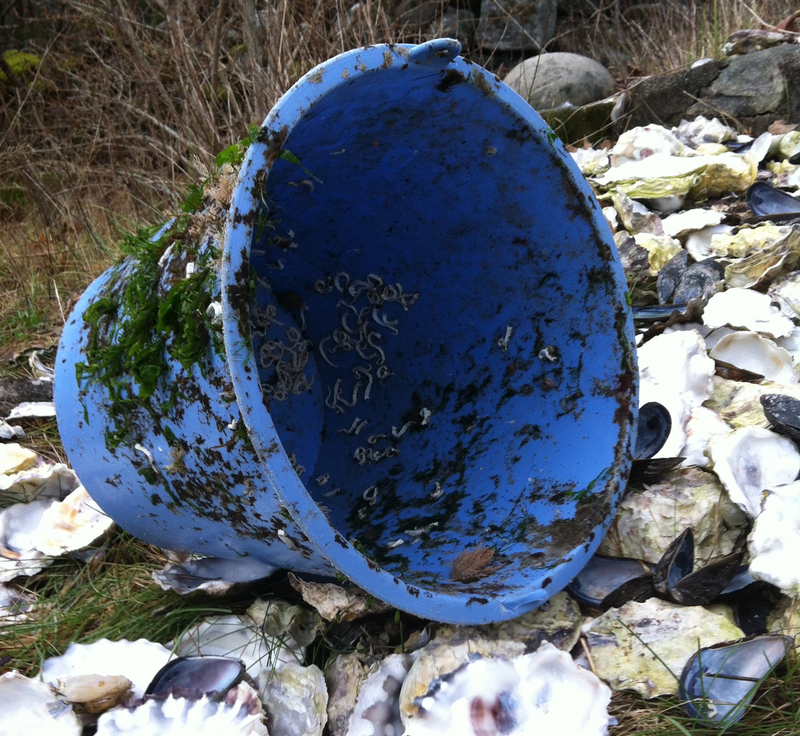 The blue bucket comes right from the English Channel, which is revealed by the tiny little pink coloured barnacles. The nearest locations of this species Balanus perforates, is just there and it is also found in the Mediterranean Sea. 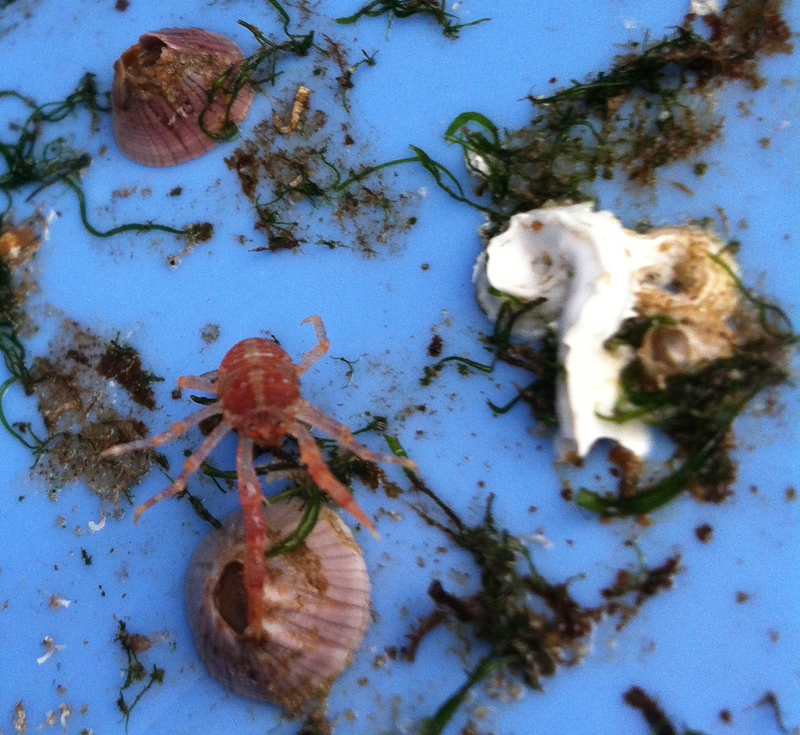 Together with them and a small squat lobster, Munida and a small sea urchin, they have made a long journey at sea before being washed ashore on one of the beaches in Saltö, near Tjärnö where a marine biological research station is located. The small beach beside the pier had a lot of sand washed away. It is fortunate that the root system of plants can help to retain a portion of the sand so that it does not completely disappear. A few days earlier, it was quite cold and everything was covered with hoarfrost. I find it strange that you only find a rubber glove and not two. 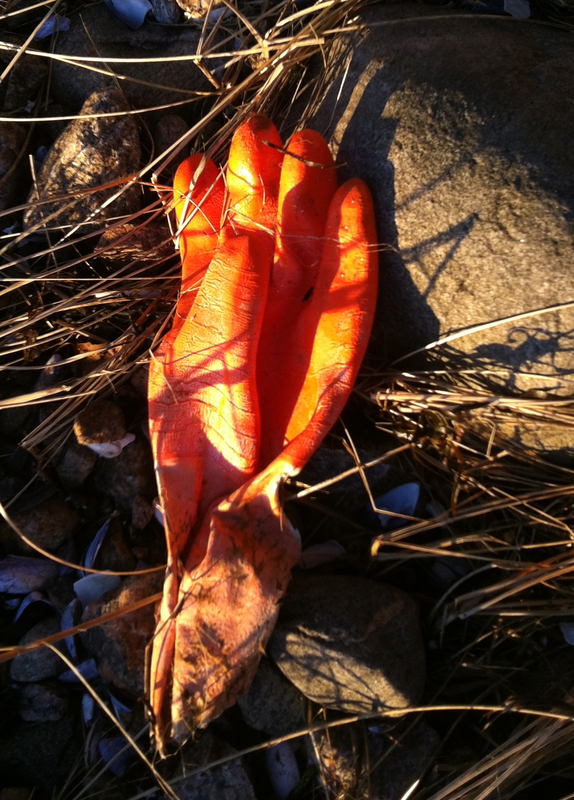 So that day I found this the right glove on the beach. 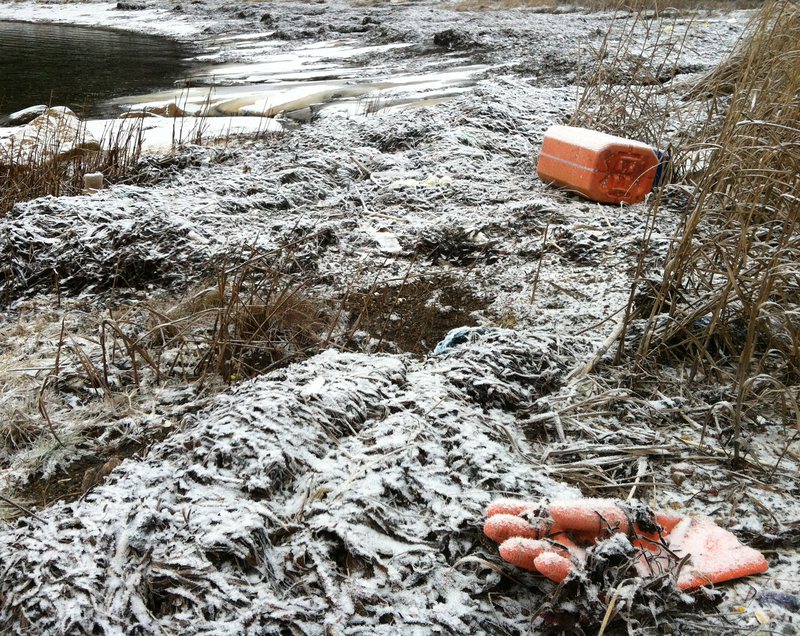 After the storm Svea I found the left glove on another beach, so now I have a pair. Last night before we go home to Stockholm. A beautiful sunset at the pier at Svallhagen. All the best for the new year and hope of many new exciting discoveries and findings in 2015. 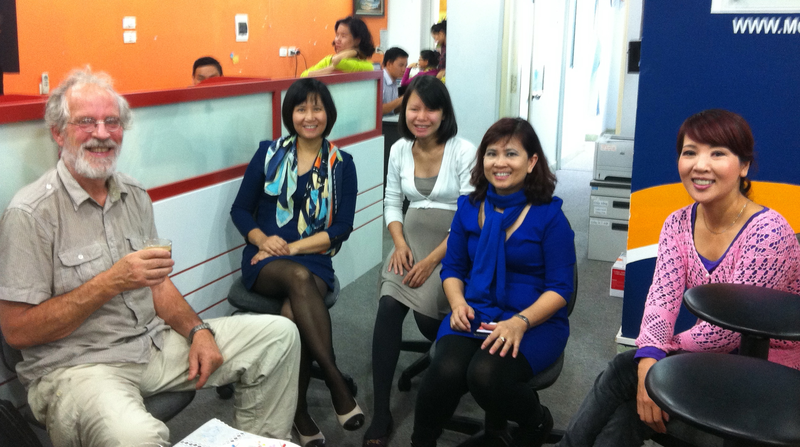 When we landed in Hanoi we started with a meeting at MCD, Centre for Marinelife Conservation and Community Development, (more information to be found at http://www.mcdvietnam), where we got coffee and we had a first planning of the work for the following week. MCD has been a partner to Stockholm University and the Department of Ecology, Environmental and Plant Science in Vietnam for many years. It is mainly women working at MCD and everything is very well-planned and efficient. During our visit we had the opportunity to meet with the local government in Phu Long and get information about the planning of aquaculture in the region for the future. Two master students will together with the help from MCD perform interview with local shrimp and fish farmers as well as trying to find out the use of trash fish in aquacultures, with the aim of proposing development improving the environmental conditions and integrated aquaculture. 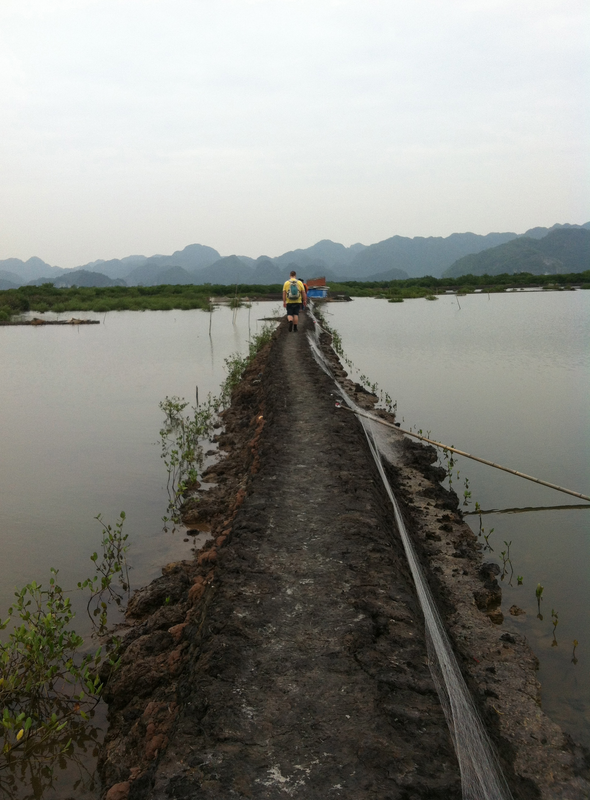 The next day we went to Cat Ba, to study different types of aquaculture activities, ranging from high to low intensity shrimp farming in mangrove plantations, where both fish mainly Tilapia are cultivated in combination with crabs and shrimps. In the intensive shrimp cultivation 2-3 harvests are produced per year. 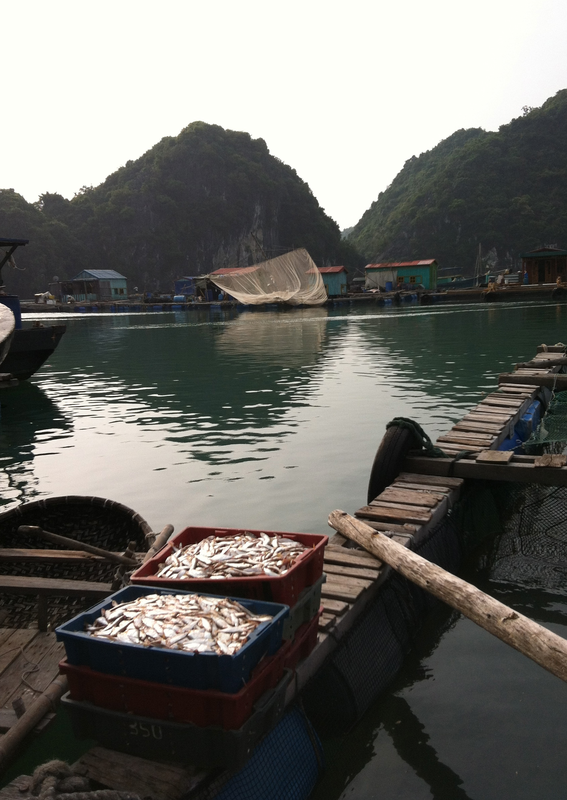 This type of aquaculture takes up a much smaller area but has a strong impact on the environment while the extensive aquaculture takes up a 10 times larger area and has a less negative impact on the surrounding area and a lower but more diverse production. The family lives in the small house located on the edge of the pond. 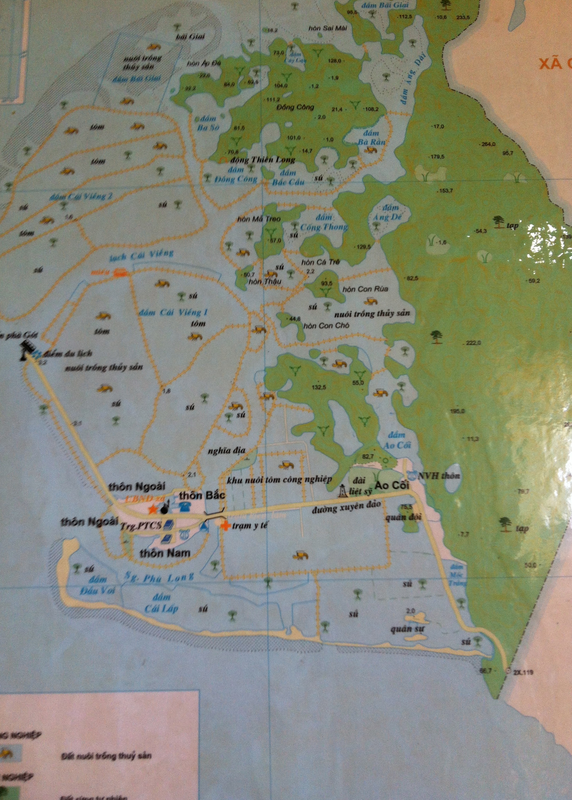 Much of the island is part of a UNESCO World Heritage Site and the mangrove is 4000 ha protected. 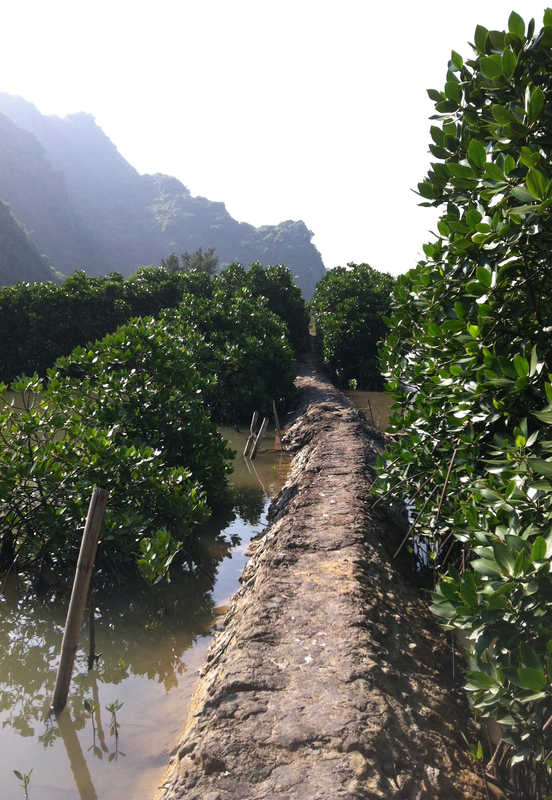 Between 1990- 2000, when aquaculture around the island peaked, 50 hectares of mangroves where cut down. 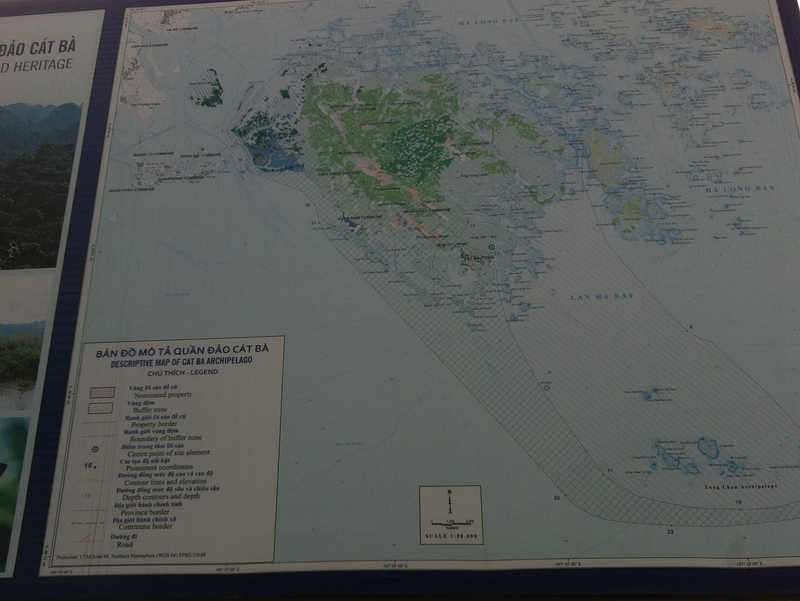 The plan now is to replant mangroves and increasing area and cover. 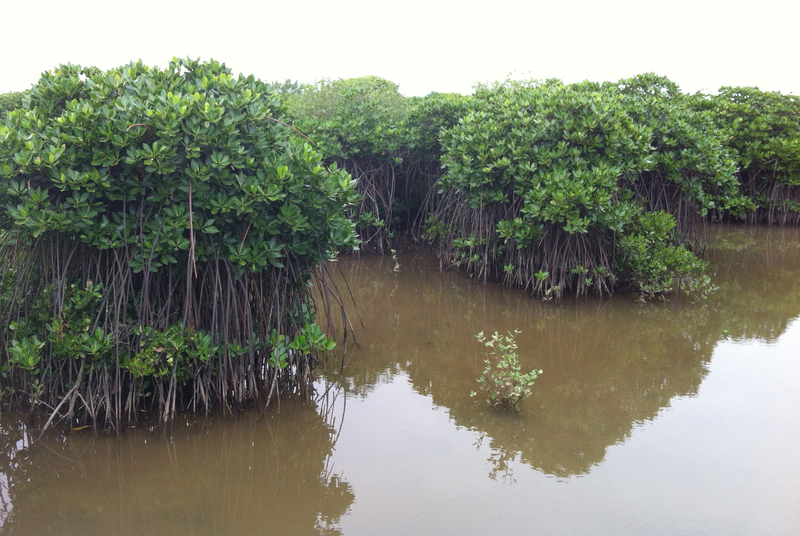 The mangrove species planted are mainly Rhizophora and Avicennia. They are planted along both sides of the dam. The smallest plants are brand new and the largest over 2 meters in height are about 8 years old. 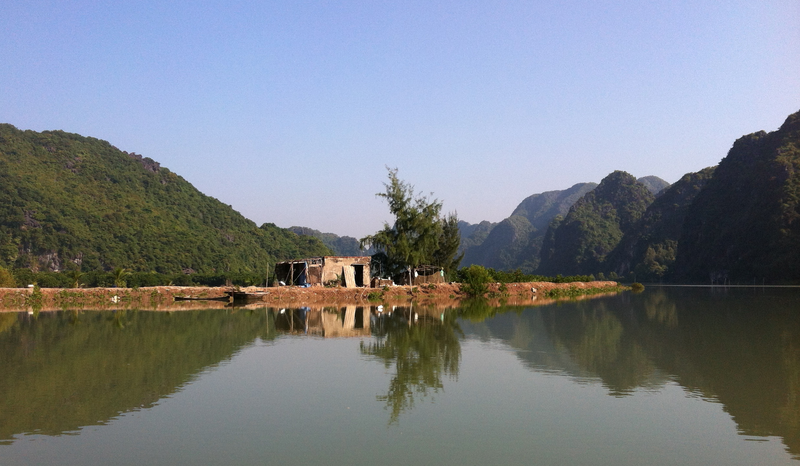 The second part of our trip was to visit Lan Ha Bay. The area is heavily influenced locally from farms, by untreated sewage from communities around the coast, from harbor construction and from runoff from the Red River, which transports large amounts of sediment, organic matter and nutrients. At the first farm we visited they were feeding the cultivated fish with thrash fish. Pictures of the on-going sale of trash fish and loading into boxes to be transported to neighbouring fish farms. 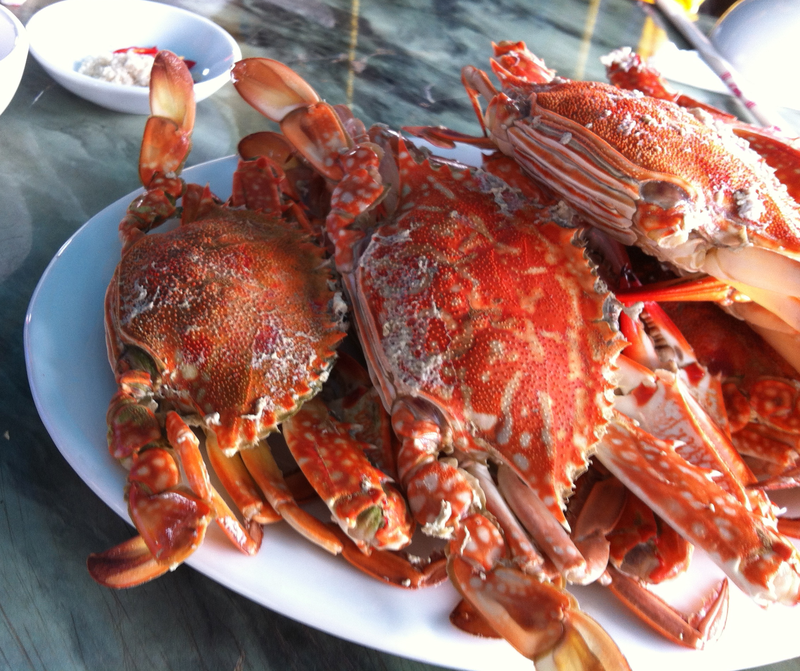 At one of the fish farms you could stay and have a lunch with really fresh sea-food. 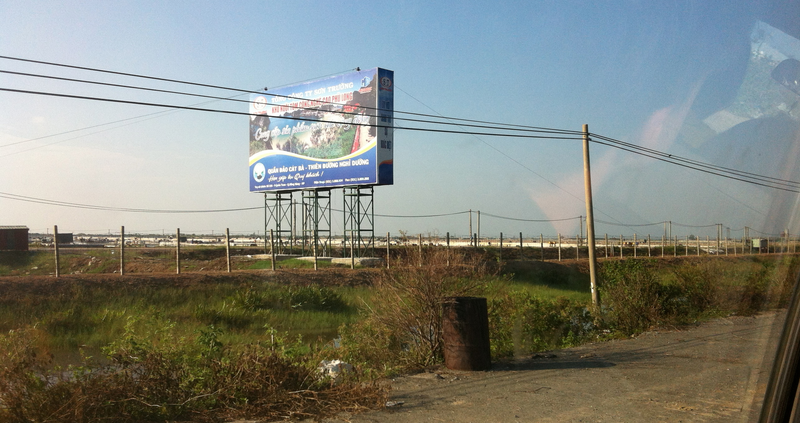 Cultivation of seaweeds seems to be limited in Vietnam. 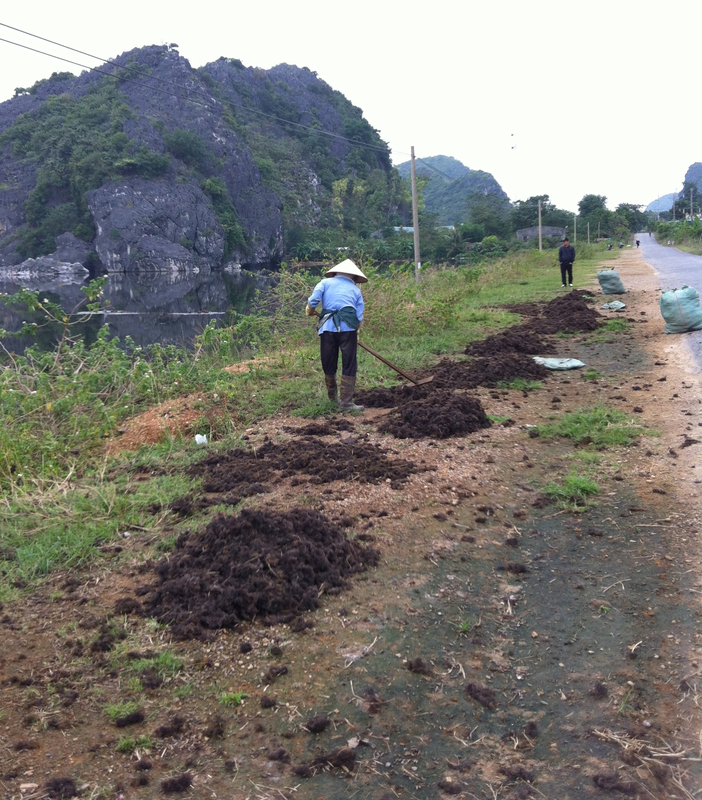 On the road from Phu Long to Cat Ba I suddenly saw some red algae put out to dry along the small road. The algae had been collected form an adjacent pond where they grow naturally. They will get about 1 dollar for 10 kilos or one sac of dried algae (about 70000VDN). It may not be much money, but can still be a contribution to the salary which is around 200 -300 dollar/month. 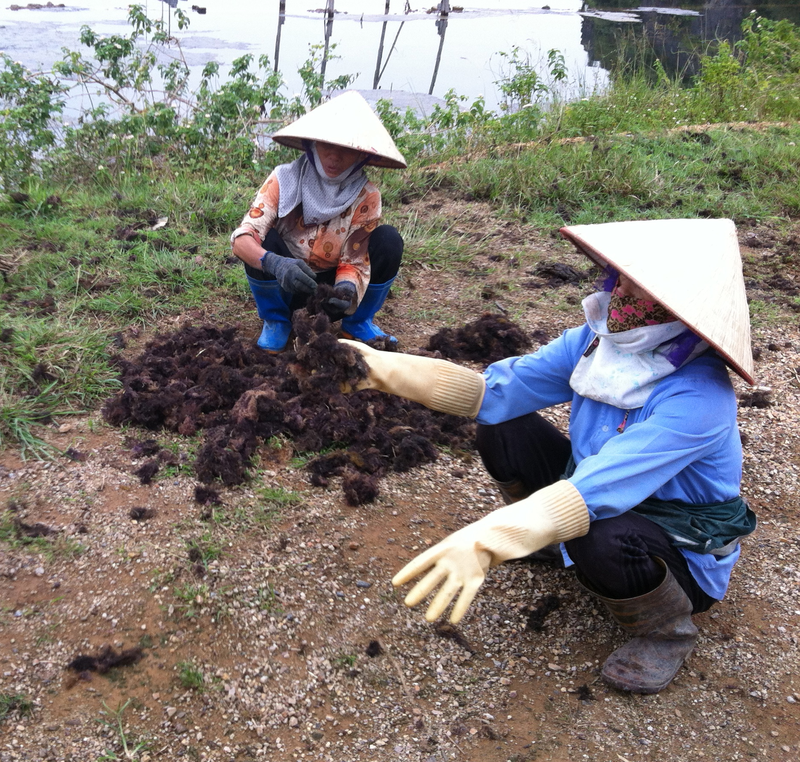 The picture shows women who rakes up dried red algae and put them in sacks so that they can be transported and soled. My first guess on the species was Gracillaria, which I was able to confirm when I found some plants that were not dry. Picture of Gracillaria spp. 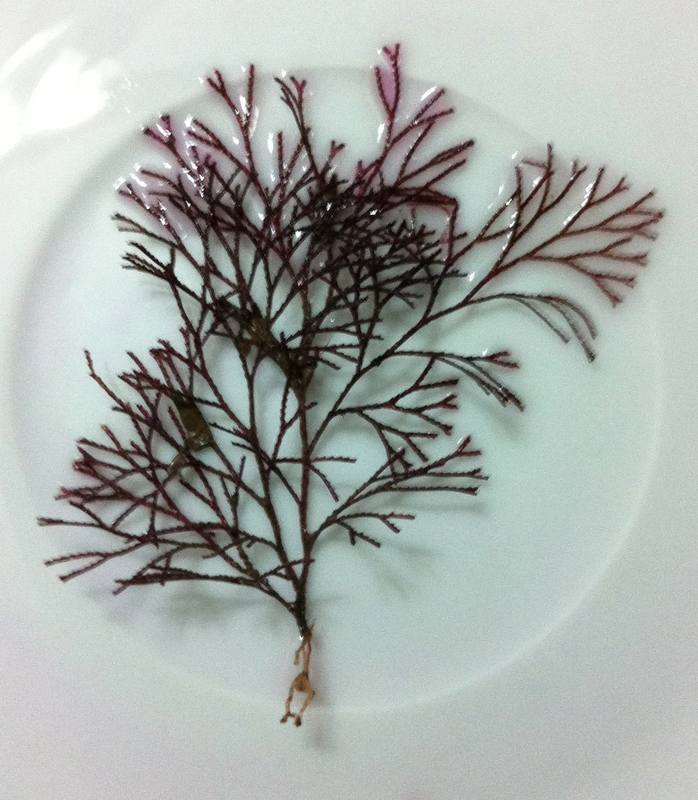 from the harvest of dried seaweeds photographed on a small plate at the hotel, since I had forgotten to pack paper for pressing seaweed! During the visit to the fish farms, while the others were talking to the owner and investigated which fish were cultivated in the various cages and what they were fed, I lay on my knees and looked after what was growing on the edges of the cages and on the nets. Here are some pictures of the findings! 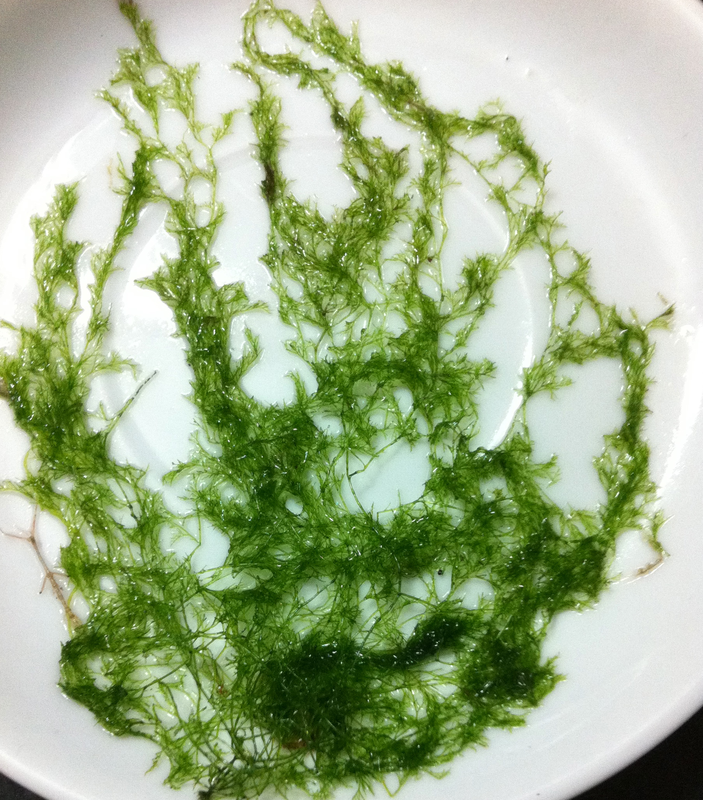 One Cladophora spp., one Ulva spp., looks just like our species on the west coast Ulva lactuca, one Bryopsis spp. and one Polysiphonia spp. The last two species were too small, so I was not able to take any photos.The algae were found only in the innermost fish farms, close to the coast and only down to about 0.5 m depth. Probably because the light conditions in water are so poor that the light is not enough for algal growth. 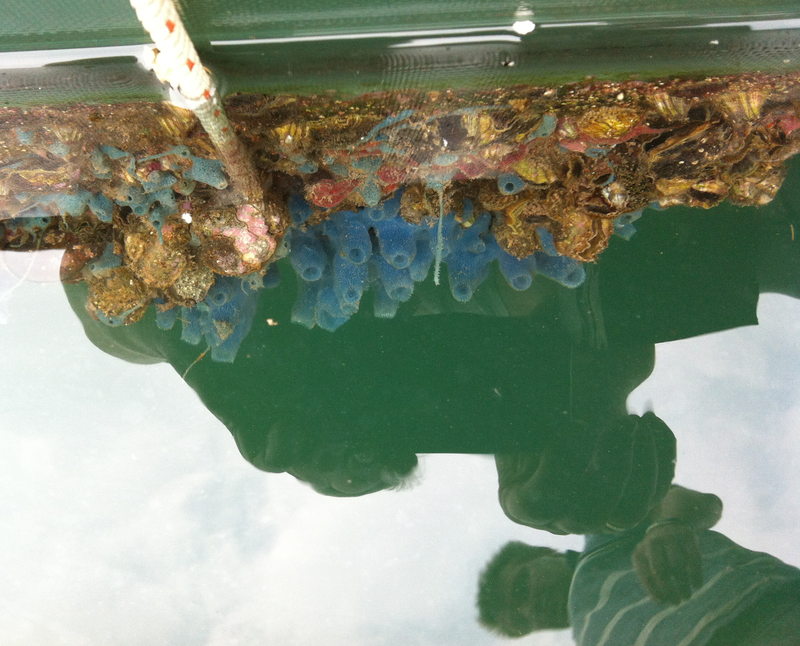 Other species found on the cages were mainly different filter feeders, like sponges and hydroids. Beautiful red-coloured and finely branched hydroid, looking a bit like Dynamena or Abitenaria. 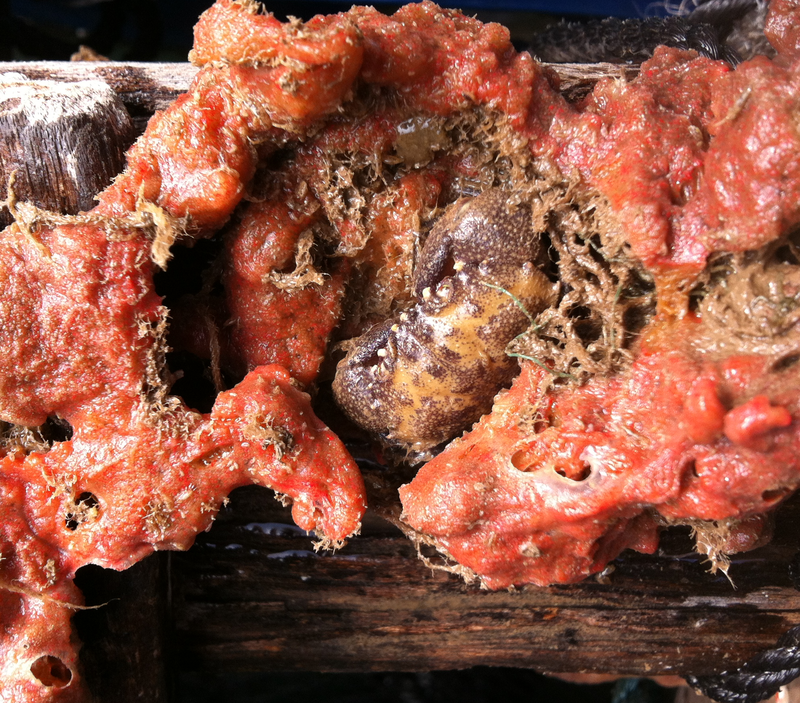 The colour red is produced from a symbiontisk red algae that live inside the animal wall. 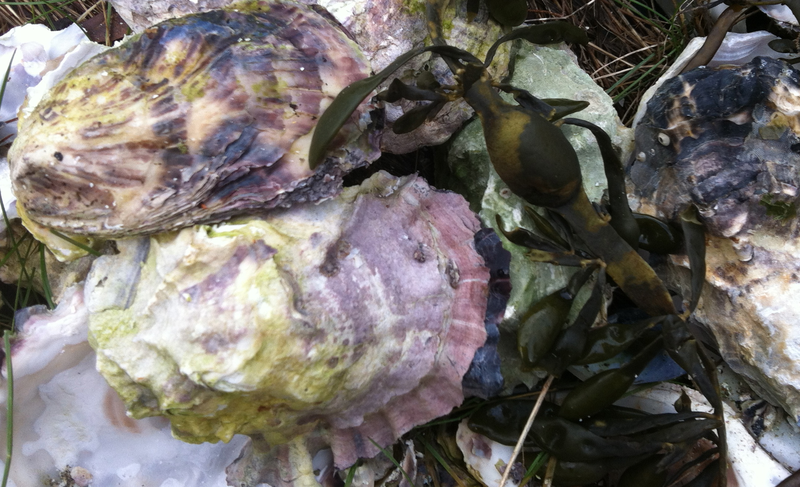 Those who had the most beautiful colours were different species of sponges, in colours of maroon, red or clear blue. In one of them was a small crab, who had found good protection inside the sponge. It has been a new experience and I have learned a lot of new things about Vietnam and would very much like to come back and learn more. 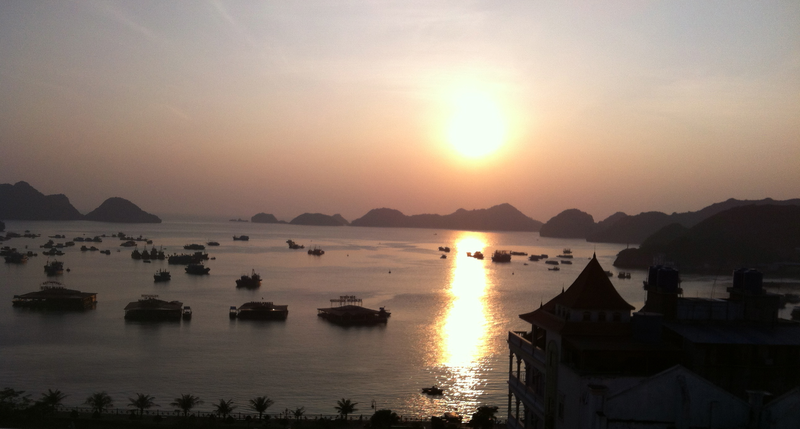 Sunset over the bay – view from our hotel. I will remember the travel to Vietnam for a long time during the dark winter months in Sweden and going to the Askö Laboratory studying the Baltic Fucus. 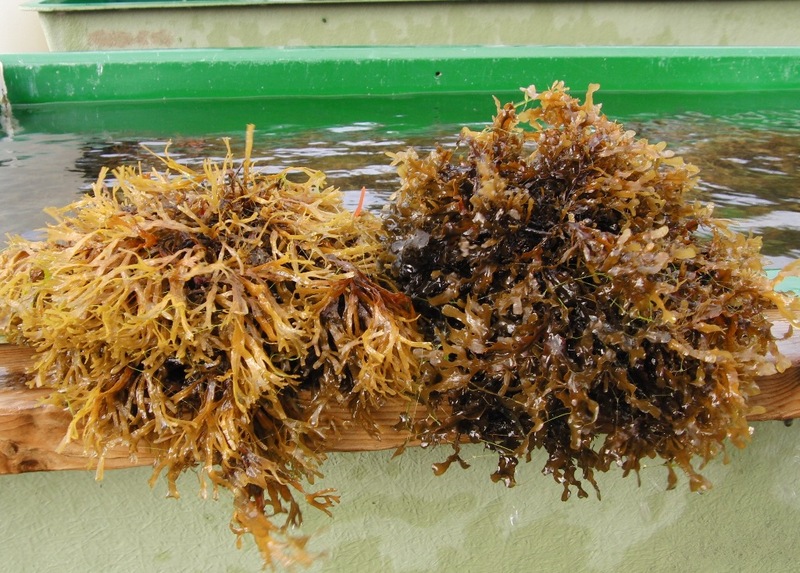 The Department of Biological and Environmental Sciences at Gothenburg University announces a PhD-position on macroalgae farming. The lucky winner will be located at Tjärnö Marinebiological Laboratory, just south of Strömstad on the Swedish west coast. It sounds like really interesting stuff! 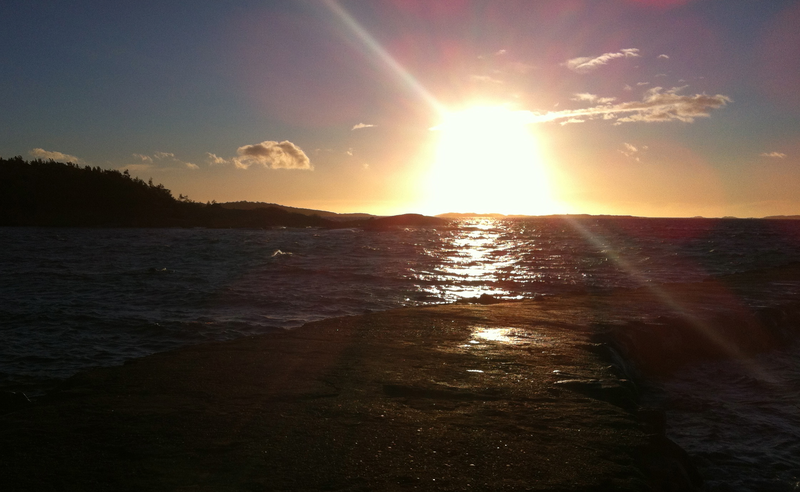 Location: Department of Biological and Environmental Sciences, Tjärnö, on the Swedish west coast. The admission to doctoral education takes place in natural science, specialising in biology. The program comprises four years of fulltime study and includes three years working on a thesis project and one year of courses and literature studies. Courses can be selected within the department/faculty, but national/international courses can also be included. Teaching and supervision of undergraduate students may be included, which extends the doctoral education period. 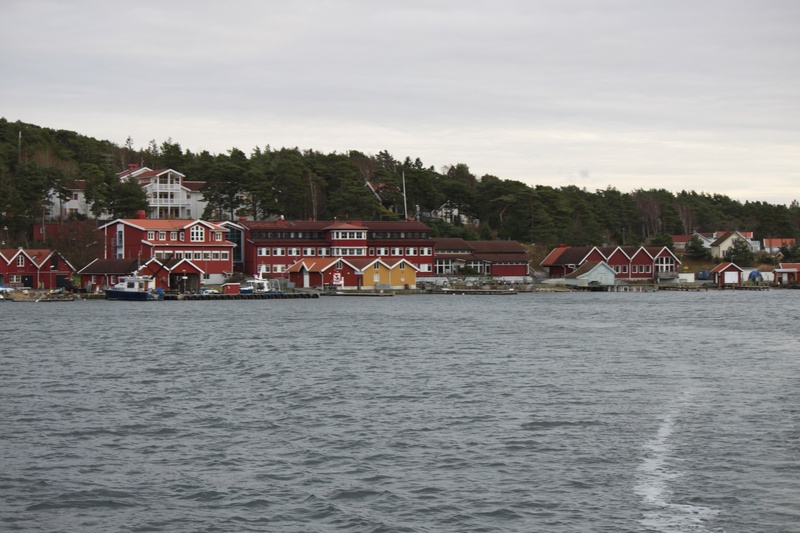 The PhD project is part of the larger research project “Sustainable large-scale cultivation of seaweeds in Sweden” where researchers from the University of Gothenburg, the KTH Royal Institute of Technology, and the Scottish Association of Marine Science participate. 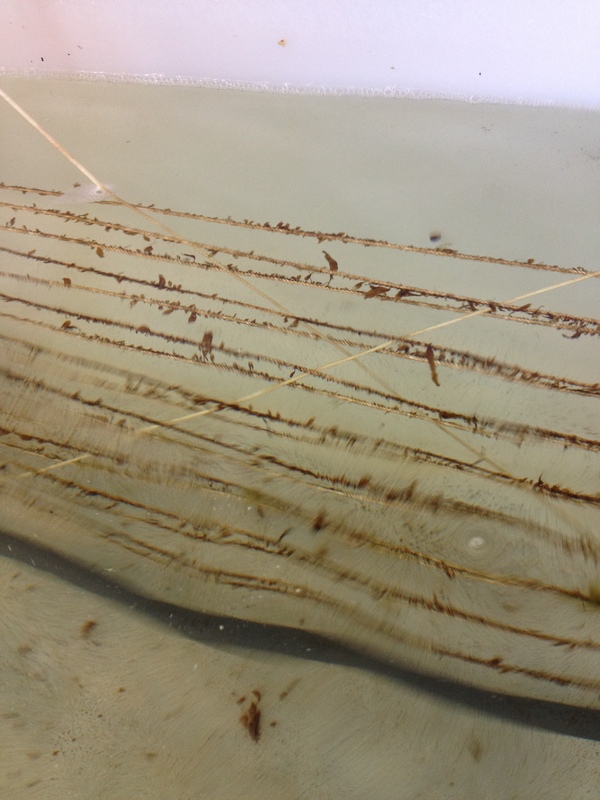 The overall project objective is to develop a sustainable large-scale system for growing kelp (Saccharina latissima) at the Swedish west coast. Seaweed cultivation is the fastest growing aquaculture sector globally, but is totally undeveloped in Sweden despite good natural conditions. 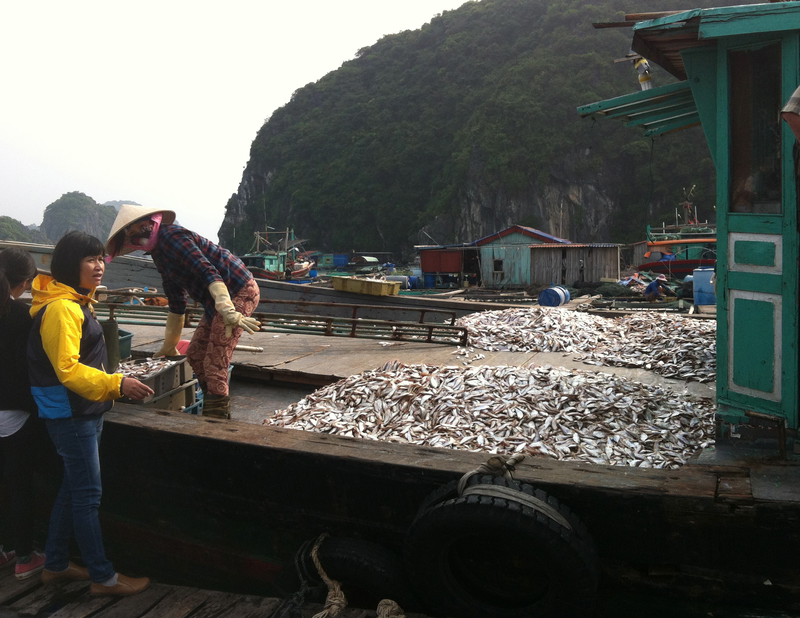 The project deals with methodological and environmental aspects such as new cultivation techniques, mass production of spores and seedlings, breeding of crop varieties, and effects of seaweed cultivation on the surrounding marine ecosystem. The main task is to carry out thesis work under supervision, during which the PhD student will develop knowledge and skills in methodology, analytical ability and subject theory. The work tasks include laboratory-based production of seedlings, development of new cultivation techniques for seaweeds in the field, development of high-performing lines through breeding, and evaluation of positive and negative environmental effects of large-scale algal cultivation. The studies will be conducted both in the field and in the laboratory. The thesis work also includes statistical analyses and compilation of results in scientific papers, leading to the publication of a doctoral thesis. The PhD student will also present results at conferences, seminars, and project meetings and is expected to communicate and collaborate actively with other participants. Small seedlings of Saccharina latissima on rope. A new scientific publication has just come out in the journal Estuarine, Coastal and Shelf Science by Ellen Schagerström, Helena Forslund, Lena Kautsky, Merli Pernoja and Jonne Kotta. 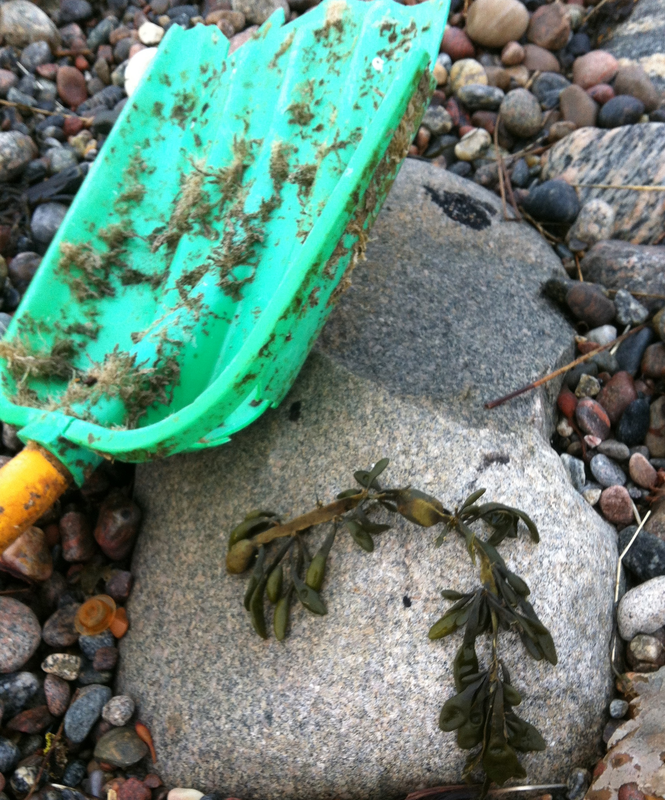 The article compared the thallus complexity and quantified the abundance and biomass of epiphytic algae and invertebrate taxa of the two fucoid species Fucus radicans and Fucus vesiculosus from sympatric sites in the Bothnian Sea on the Swedish coast and around the Estonian island Saaremaa. Fucus radicans had a more complex thallus structure than Fucus vesiculosus within the whole study range, but both species were more complex in the Bothnian Sea compared to Estonia. The complexity of host algae did not contribute to their associated flora and fauna taxon richness; instead, the size of thalli was a good proxy for associated communities. You can read the article HERE for free until November 8th, courtsey of Elsevier Ltd.